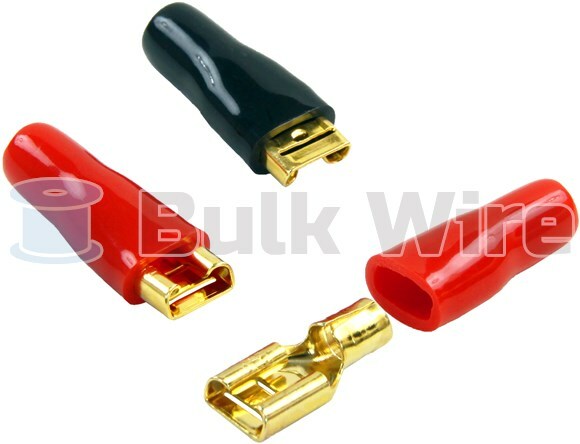 High quality, gold color, solderless terminal for power or audio applications. Fits 12 gauge wire. Molded color coded boot. Mates with Faston style F2 1/4" size blade tabs. Sold individually. High quality, gold color, solderless terminal for power or audio applications. Fits 12 gauge wire. Molded color coded boot. Mates with Faston style F2 1/4" size blade tabs. Sold individually.